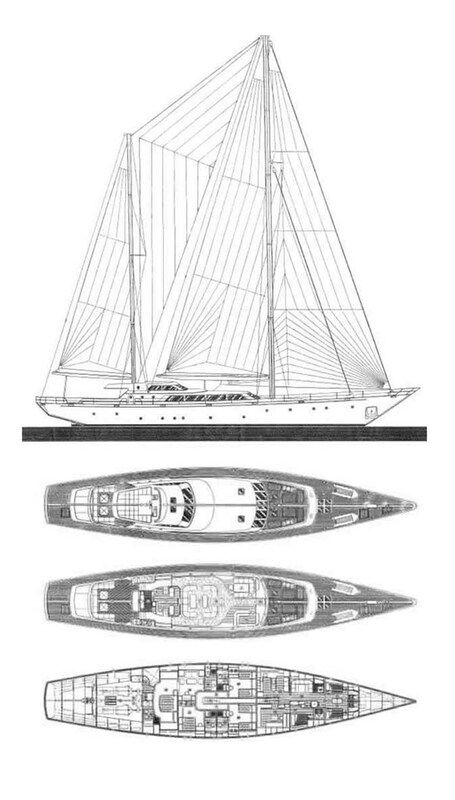 Thomas Perkins’ first Perini Navi, S/Y Paz – originally S/Y Andromeda La Dea – marked the perfect marriage between the inventor of high tech venture capital, founder of Compaq computers and investor in the start-ups of Genentech, Google and Amazon, and the genius of Fabio Perini. Paz also circumnavigated the world and crossed the Atlantic Ocean many times. The yacht was an evolution of the original concept, with a spacious aft cockpit, a larger flying bridge for the al fresco comfort of owners and guests.